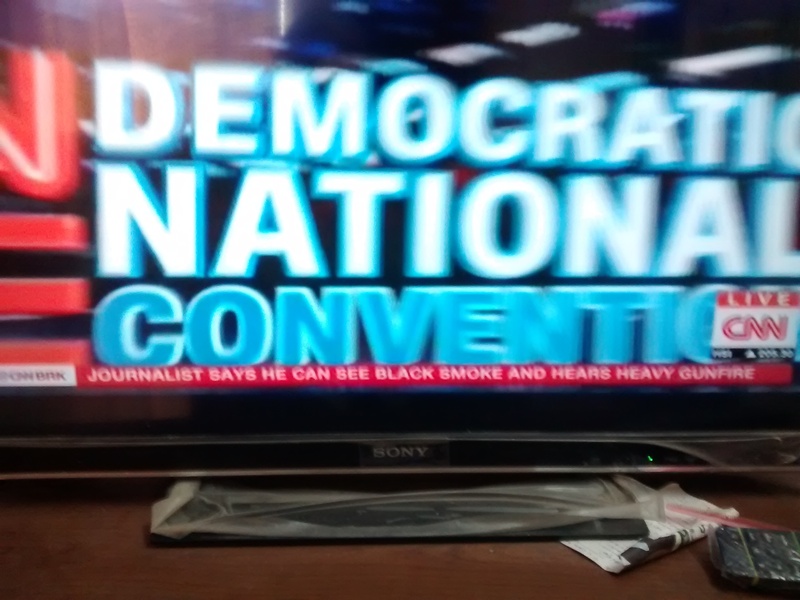 ” Democratic National Convention, Day 2, “Unity” Theme Score at 75/25 ” – July 26, 2016. U.S.A. made history this night. Day 2 of the Democratic National Convention needs to be marked with a white stone for the Party as well as the greatest nation on earth, America, for nominating their first woman, Hillary Clinton, for the most coveted post in the world – President of U.S.A. The speech that stood out this night was the one by the former President and the nominee’s husband Bill Clinton. Bill Clinton is well acknowledged for his ‘speaking skills’ and ‘substance studded lectures’. Assertive, confident, and powerful he made out a strong case for the recognition of Hillary Clinton as “change maker” and “real person”. In a novel and new way of detailing the nominee’s credentials, he utilized the tools of ‘diagesis’ to influence the perceptions of the audience to near perfection. Tracing the course of Hillary Clinton’s role in public service since he first met her in 1971 encompassing – (a) her intern study and initiation into service in the Law School; (b) her help to register Mexican American students in 1972; (c) working on children’s issues in Massachusetts in 1974; (d) helping children with disabilities in gaining access to public education which the Congress moved based on a report; (e) empowering the disabled with Children Defense Fund; (f) providing primary healthcare through trained nurses where doctors are not available; (g) making generic drugs approved by FDA available in crisis cases and situations; (h) help establish Children Health Program in 1997 (the year when her daughter Chelsea had entered the college); (i) becoming the first senator in New York in 2003 to serve on Armed Forces Committee; (j) help to promote small businesses and manufacturing as Secretary of State; (k) a strong advocate of sanctions on Iran’s nuclear program; (l) an advocate of establishing peace with Israel; (m) believing firmly that Women’s Rights are Human Rights and Human Rights are Women’s Rights – and proving beyond any shadow of doubt Hillary’s skills as a leader with rich organizational abilities in times when she was not holding power as much as when she held power. The essence of his speech was to say in no uncertain terms that Hillary is the ” Real, Best Person” who has shown energy, and enthusiasm engaged in making more positive change and that voters in this election should vote for the ‘Real Person’. Bill Clinton built an excellent rapport with the audience injecting the narration of facts as an effective means of delivering the messages in his speech. The term ‘Real Person’ he referred to helped to quell the previous erroneous beliefs and images of perceptions, if any, held by anyone as incorrect requiring the nominee to be assessed with a different lens. 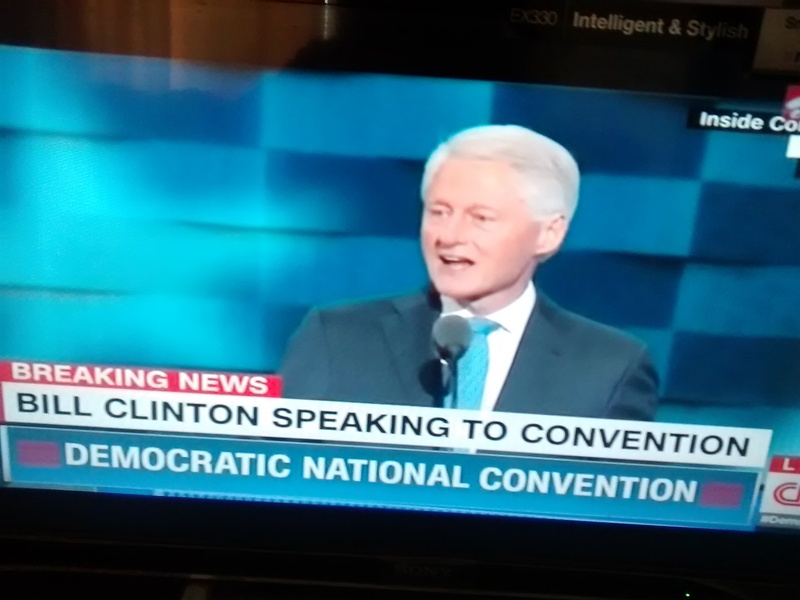 The way Bill Clinton effectively transmitted the message in the context of a political convention with people of diverse culture listening to him without a conspicuous attempt and standardisation, but judiciously mixing the personal side of the individual’s career growth woven into the tasks and accomplishments made was even more significant. This must have made an excellent impact on the audience and listeners in terms of their “perception” of the nominee as very important. It also helped in arresting the expected accentuation of the situation by the deep concerns of the skeptics and rivals that usually prevail in the political horizon. This is a big positive that Bill Clinton achieved which can enhance not just the image of the nominee but the party as a unit. It also will forge the much needed ‘unity’ that the party hopes to derive from this convention. My subjective rating of “unity” at the end of Day 2 improves and stands at 75/25. Wednesday, July 27, 2016 – 12. 09 p.m. (IST). Tidbit : ” If you are a Muslim, stay here and work with us together and we will make our future bright”. – Bill Clinton.